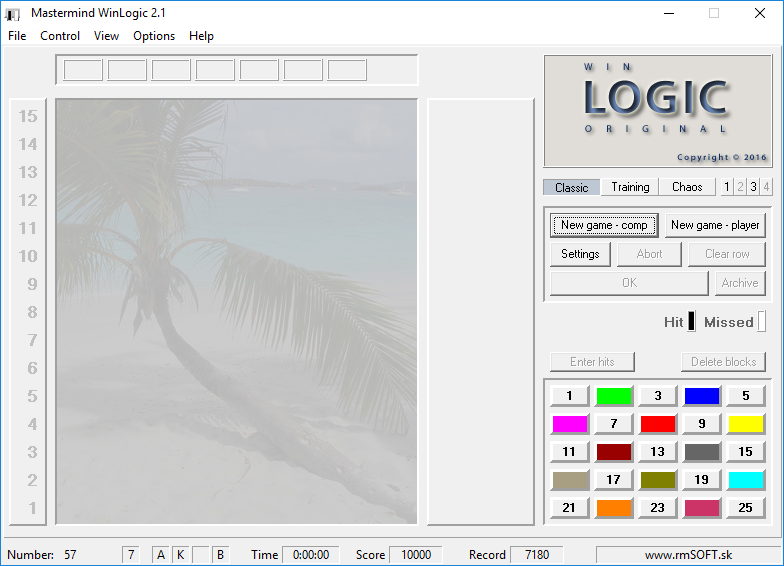 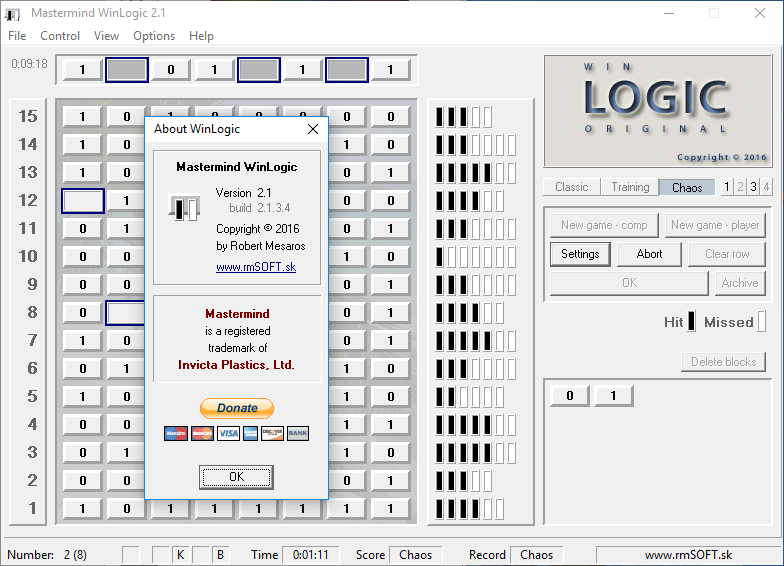 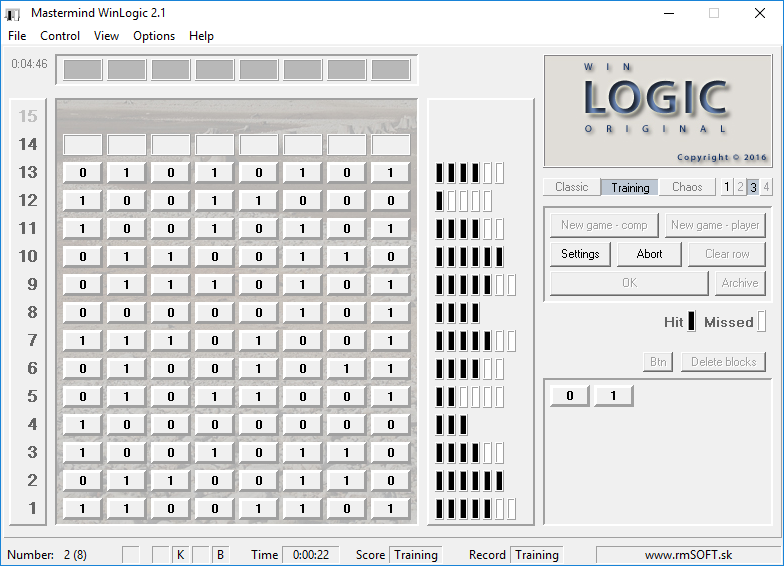 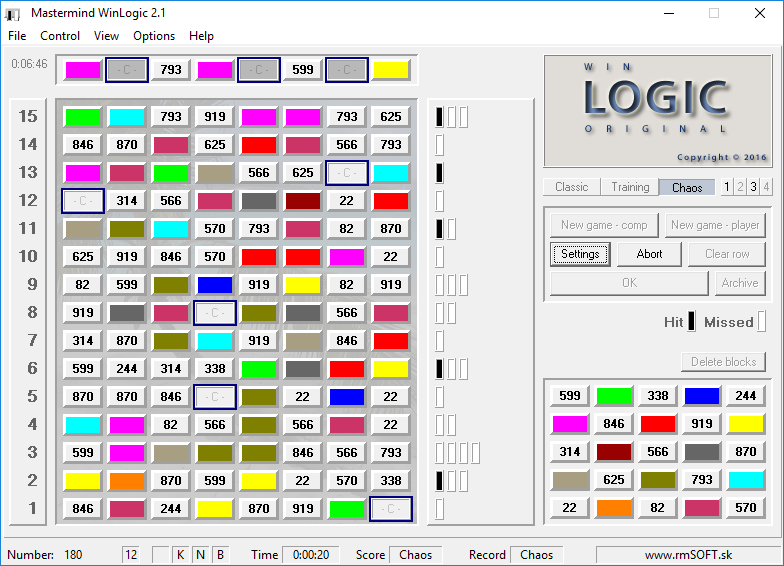 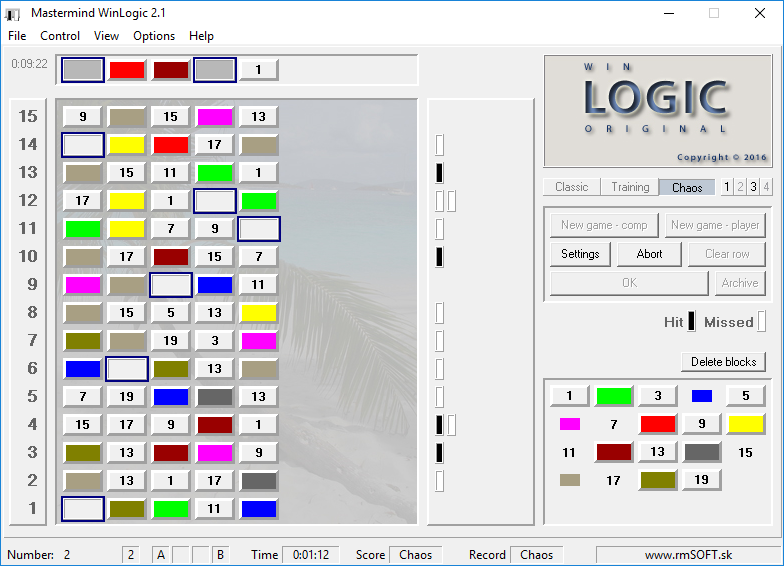 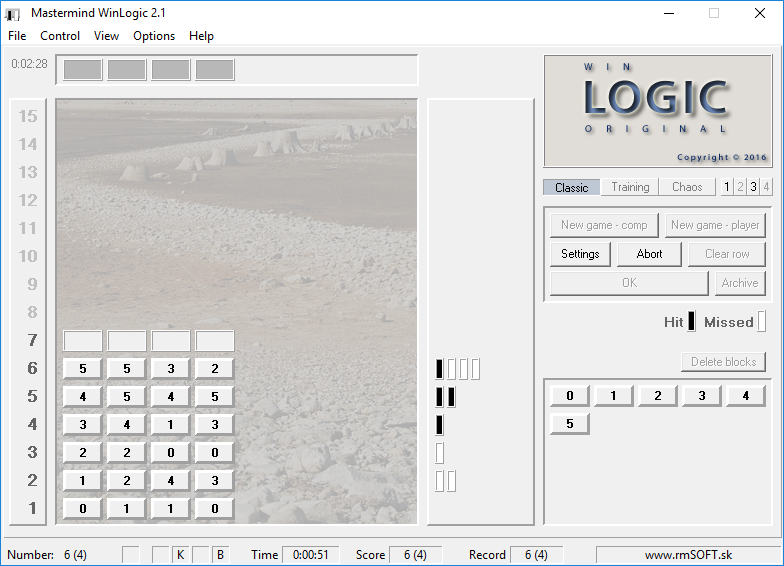 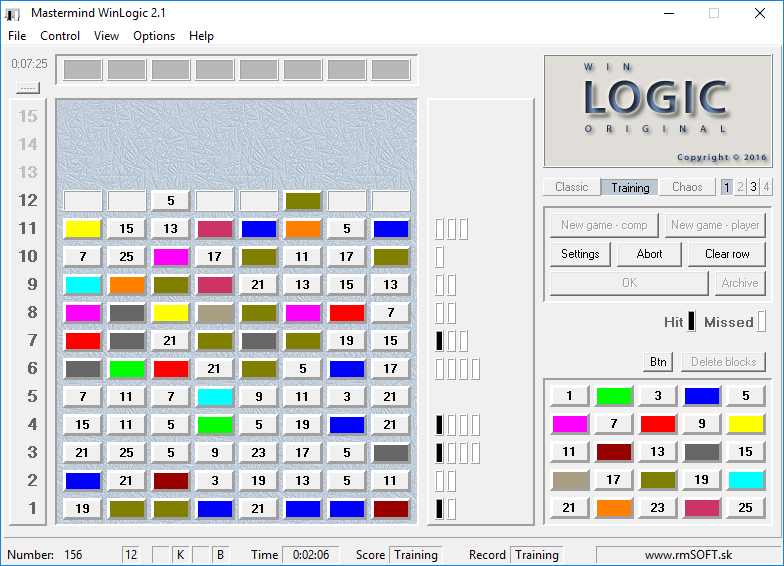 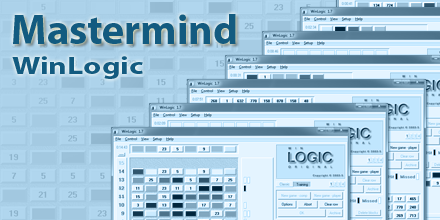 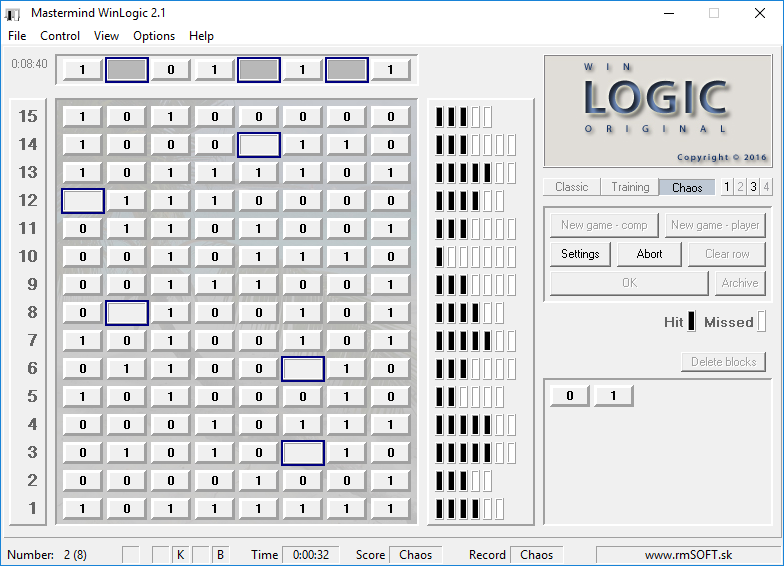 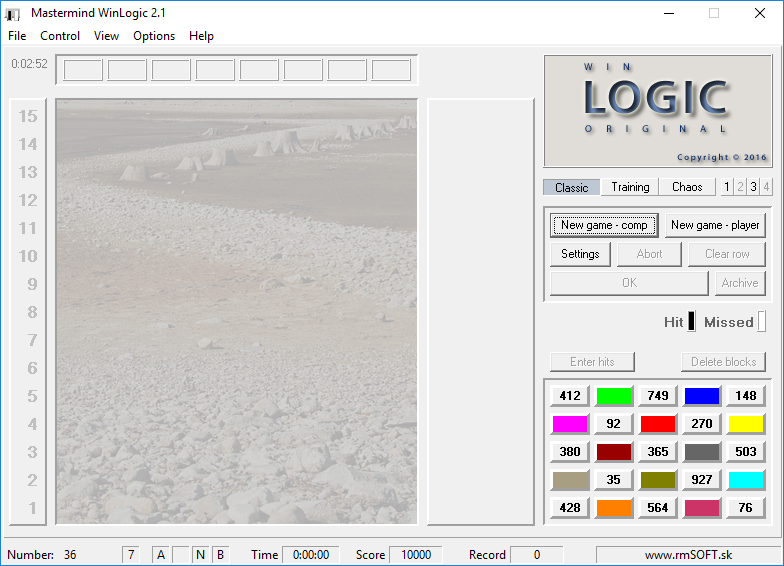 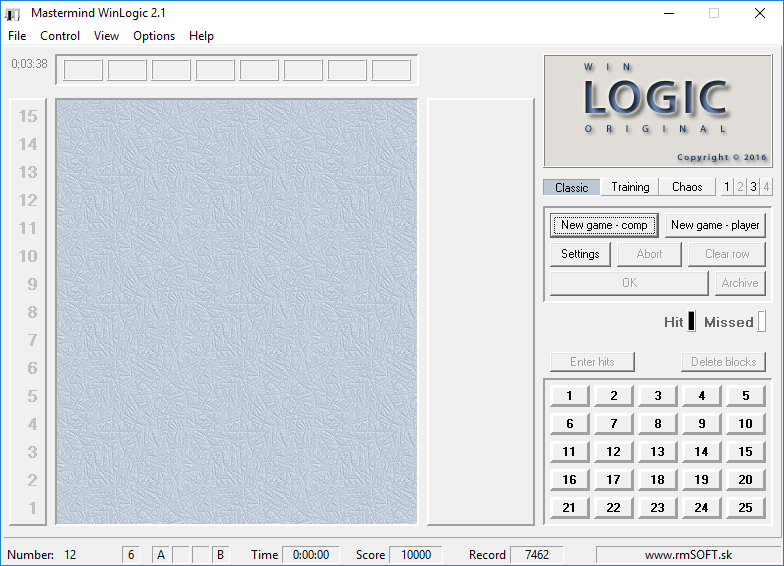 Mastermind WinLogic - logical game with various difficulty levels that develops brightness and logical thinking. 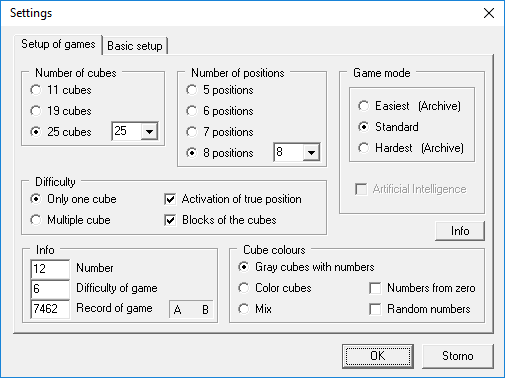 For all age categories. 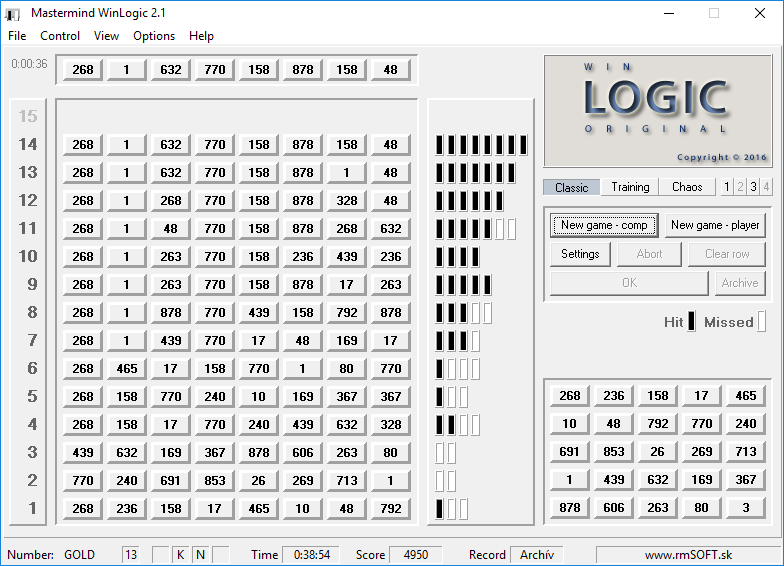 Puzzle that orbited the world! 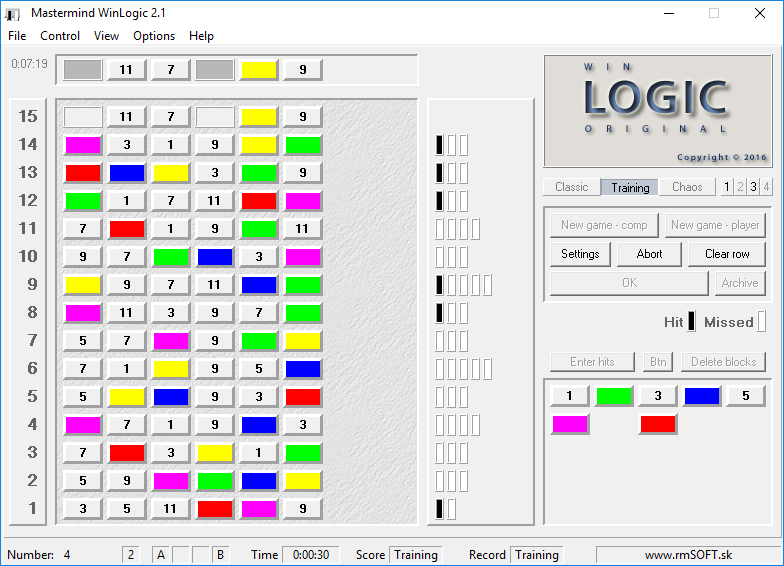 Task of this game is line up in right order individual cubes that way to make correspondence with cubes hidden in result area. 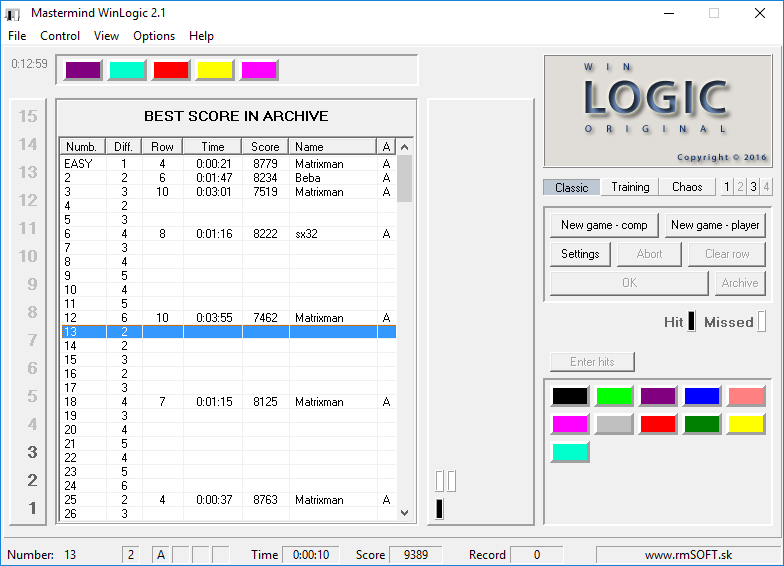 In this process is possible to measure time and actual score and make record in game, which is afterwards saved to archive. 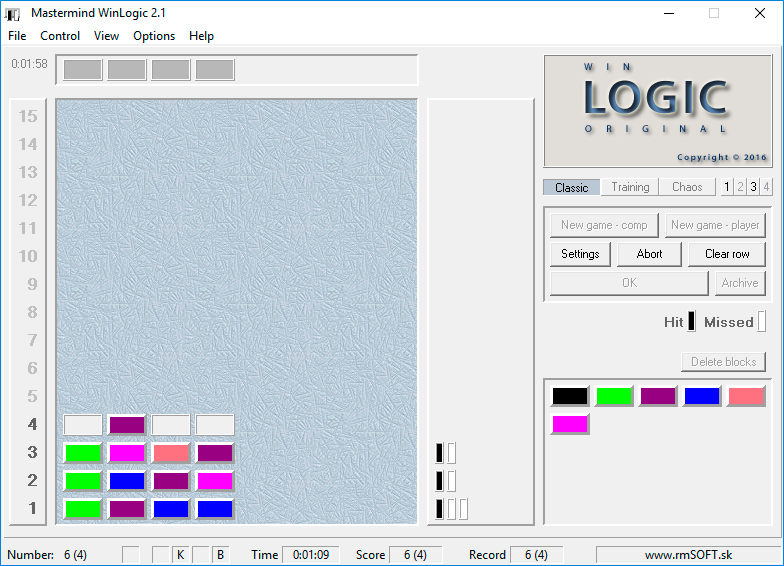 Great game for fight against memory fails. 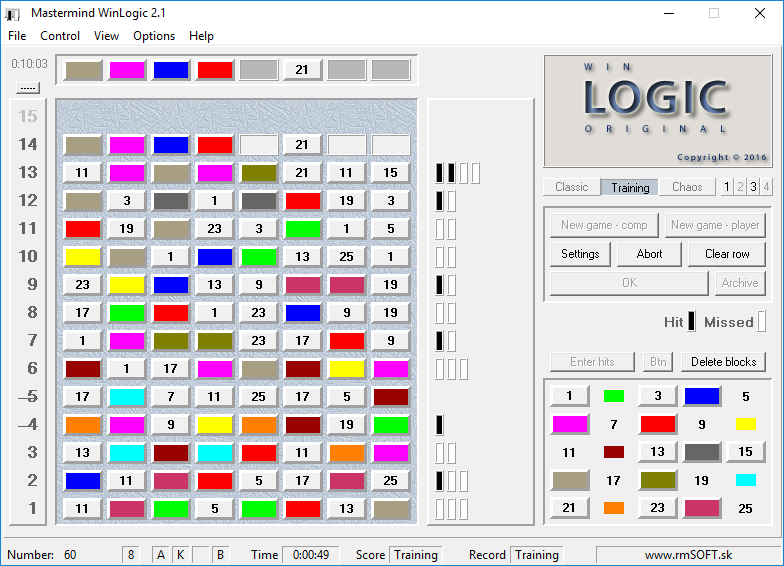 Game very effectively develop logical thinking, brightness, tenacity, ability to combine, sort and feel given system and environment. 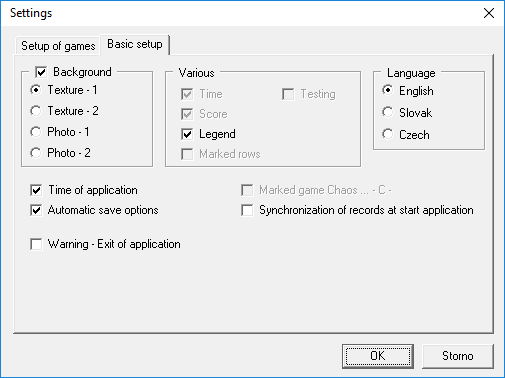 Thanks to game simplistic settings is also suitable for small children. 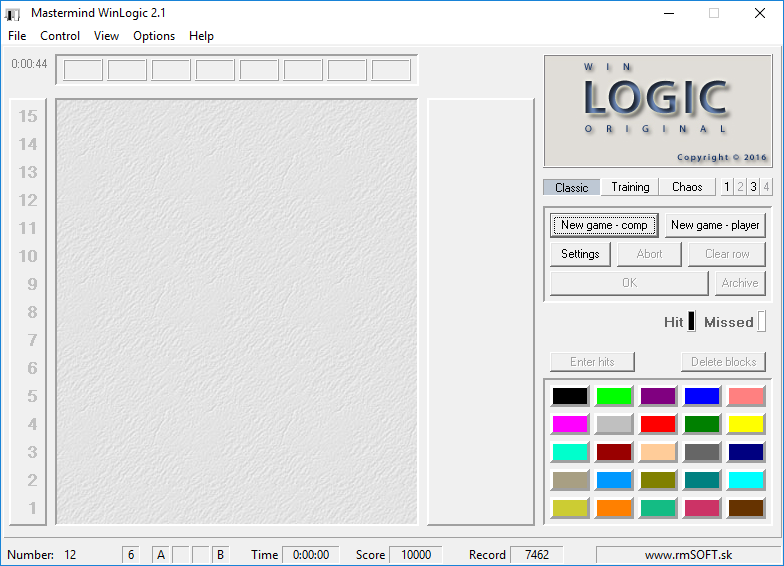 he needed for display all lines almost 5 years! 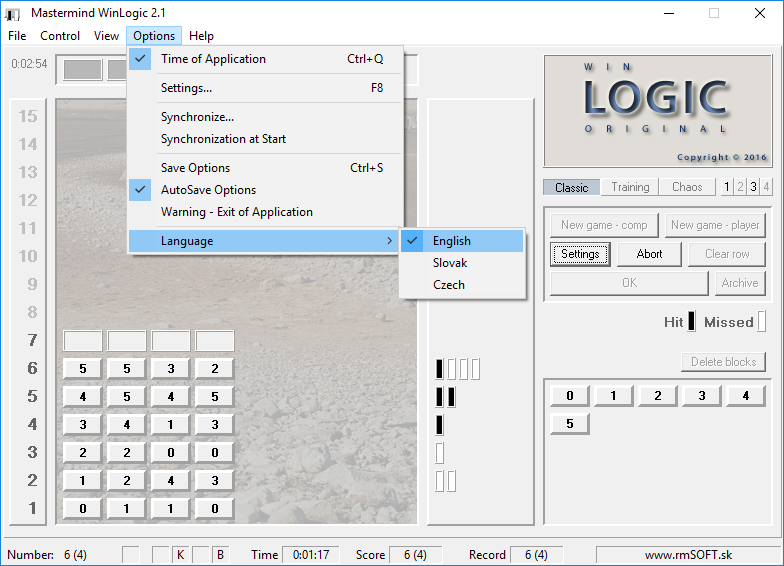 Application is directly executable, do not install anything and do not write to registers.